This is a very special place. For us this was exactly what we were looking for when we came to the Amazon. 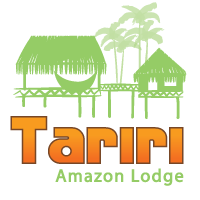 We deliberatly avoided the larger more luxurious options like Anavilhas and Juma, hoping for a more personal experience at Tariri. This was just perfect and everything we has hoped for! The cabins are simple and rustic, but very clean and well kept. No damp or funny smells from the bedding, towels e.t.c. Beds were comfortable. No airconditioning, but good mosquito nets on all the windows so you can keep windows open and fall asleep comfortably to the sound of the jungle. The setting is so beautiful and the people are so lovely. Fabiola and Germano are such good hosts, and we felt so lucky to be their guests. The food was absolutely delicious, definitely the best fish we have had in Brazil. Homebaked fresh bread and cakes several times per day, lots of fresh vegetables, fresh juice e.t.c. We also loved all the excursions. Our kids loved every moment of every day and they will always remember this trip. I would warmly reccomend this place to anyone! Stayed March 2014, traveled with family.